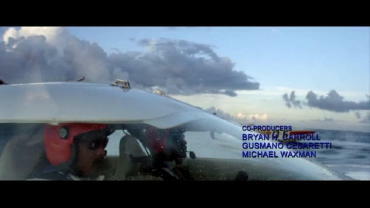 Michael Mann is widely known for releasing directors cuts of his movies. 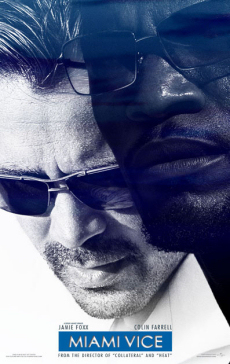 The theatrical release of Miami Vice was rated for aged 16 and over in Germany (FSK 16), so many fans already expected a directors cut of this movie - and they were not disappointed. Expectations for this directors cut were quite great, because the title even annouced an unrated directors cut. The directors cut does not contain any more action- or violent scenes, all additional scenes of this directors cut are extended plot scenes. 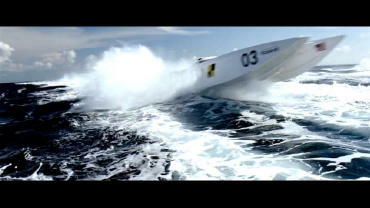 The opening sequence gives some more details about the movie´s starting operation in the club and why it was carried out. Further, we have an additional telephone call between Tubbs and Trudy after the deal with Montoya was done, which provides some more details about the dangers for Tubb´s family. 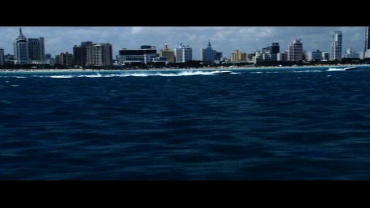 The other extended scenes mainly focus on the relationship of Isabella and Sonny Crockett. Some additional shots and cuts add a little more dynamic to this movie, but they surely can´t upgrade the movie to new heights. 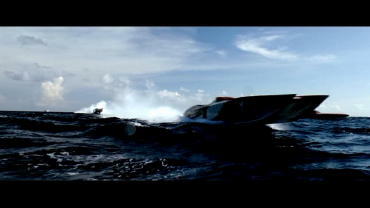 Frankly speaking - if you did not like the movie in theaters, you probably won´t like the directors cut as well. On the other hand, fans who did like the movie might be happy about a new cut providing a few more story details. For this report, we compared the German FSK-16 DVD release (which is same as Germany´s theatrical release, suitable for persons aged 16 or over) with the unrated directors cut US-DVD release. 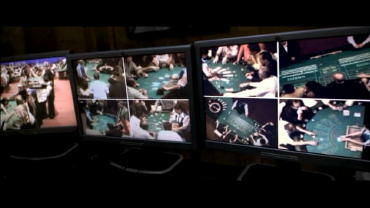 One of the biggest changes in the directors cut can be found at the very start of the movie: The theatrical version is opening with the night club operation and puts the viewer into the middle of the game right away. There are no opening credits in the teatrical version. 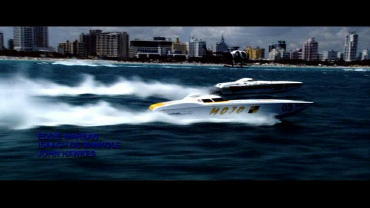 The directors cut shows credits and a longer scene of a boat chase, also inlcuding Crockett (Colin Farrell) and Tubbs (Jamie Foxx). 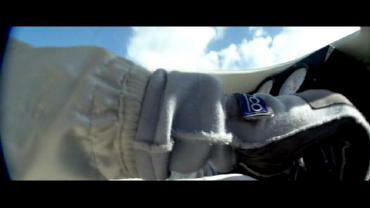 Shots taken from the cockpit, from air or taken from boatside are interchanging. Switek: "All right. It was a good run." Switek:"Better than coming in third." 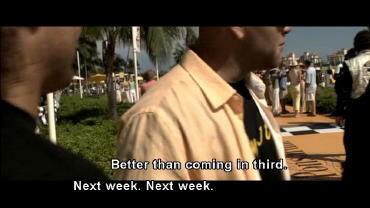 Crockett: "Next week. Next week." 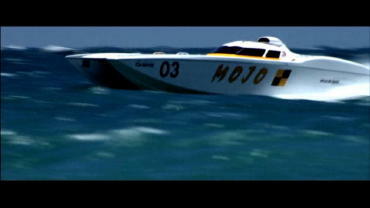 Crockett and Tubbs move along, talking to another race team: "Are you ready, baby? What's up?" 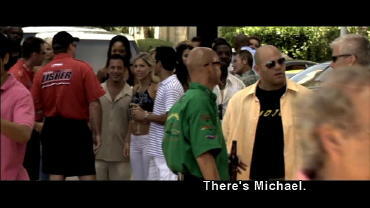 Cut to the suspect entering the scene, then off-screen voice "There's Michael". 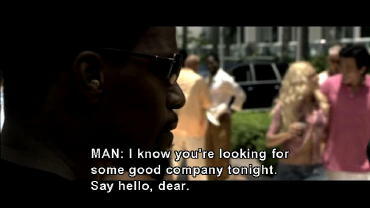 "I know you're looking for some good company tonight. Say hello, dear." Cut back to the main scene. 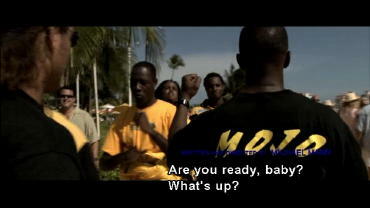 Miss Cuba & Jamaica: "Hello." Neptune: "Man, that's Miss Cuba." Switek: "And the tall Jamaican, who's she? Miss Jamaica?" - Laughter. 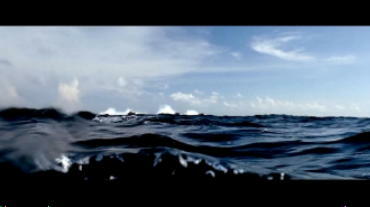 Neptune: "Oh yeah. One for three or two for five K."
Switek: "All right. Let's go for three and bring them to the after party at the mansion." Camera now moving away from Crockett and Tubbs faces, "Numb/Encore"-music starts and intitializes the blending into the theatrical version. Theatrical and directors cut are same again from here. Crockett: "Man, those are skill sets." 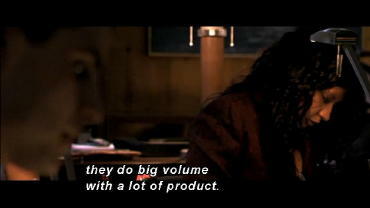 Nicholas: "All I know these guys are quiet, they do big volume with a lot of product." Yero: "Can you vouch for them?" Nicholas: "Yeah. Of course I vouch for them." Yero: "All right. Check them out and you better be right." The directors cut also continues with Tubbs showering now, but the camera is showing Tubbs longer and also shooting from another angle. 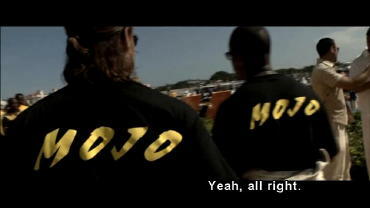 Changing the location to Ciudad del Este, we see a shot of a modem first, while the theatrical version continues showing the shopping street already. To ensure a clean cut, the interchange to the shopping street is a little shorter in the directors cut (DC). After Tubbs received Yeros call, theatrical version does not show him meeting with Isabella at all. 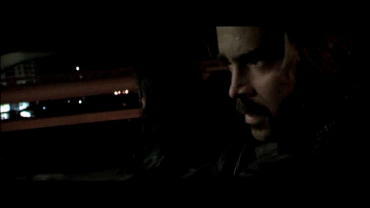 In the directors cut, the scene continues with the car drive scene. 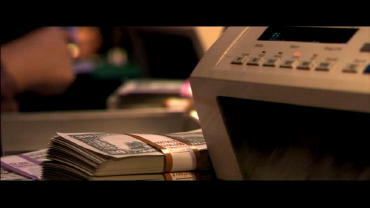 This scene was extended a little to ensure smooth continuity. 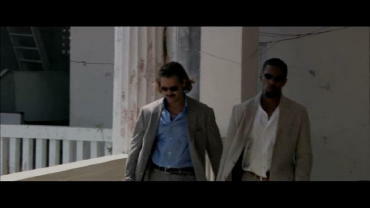 The theatrical version shows Crockett and Tubbs on seaside terrace. 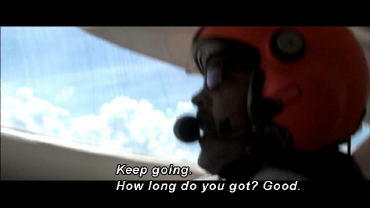 Crockett: "For hours. They're a dicking us around. Call it." Tubbs, taking a look at his watch: "That's it. 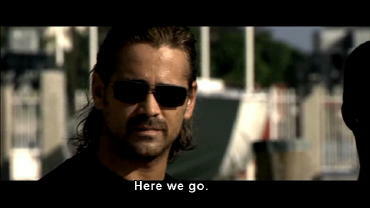 Let's go." They are going back to the car, returning armed, then bursting a door. Inside, we see Isabella and some other guys. 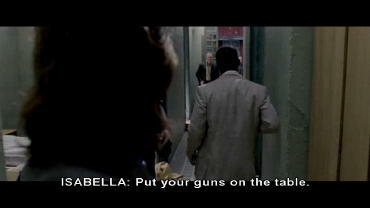 Isabella (from off-screen): "Put your guns on the table." 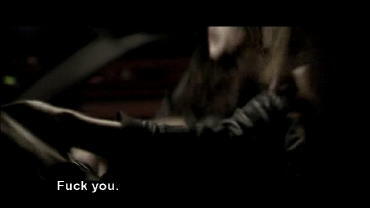 Isabella: "We didn't bring you here to kill you. 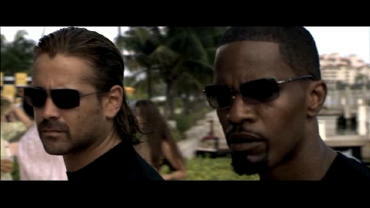 If we want you dead, you'd have been no longer drawing breath in Miami." She is putting her sunglases down now. 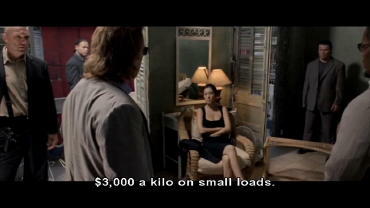 "$3.000 a kilo on small loads." Crockett (off-screen): "Thought we had to meet the Man." 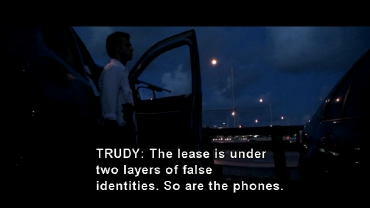 After the talk with Martinez, we see Tubby calling Trudy in the directors cut. Afterwards, we see the armed guards which are also shown in theatrical version. Tubbs trying to make another call while the first cars are leaving. After Tubbs recognized that the signal is back again, (this dialogue is also missing in theatrical version), directors cut shows him talking to Trudy now. Theatrical version continues with the first drug transport already. Tubbs: "Hey, what's up? You okay?" 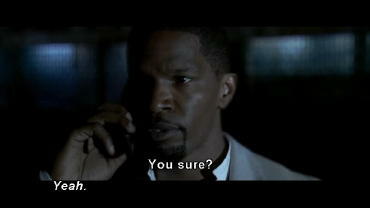 Trudy: "Yeah. Yeah, what's up?" Tubbs: "Yeah. Just saying what's up, hi, you know. Seeing what's up with you." Tubbs: "Bored, okay. 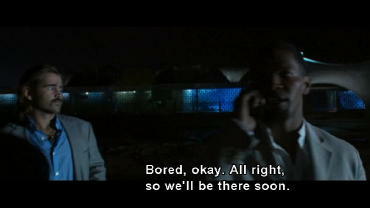 All right, so we'll be there soon." 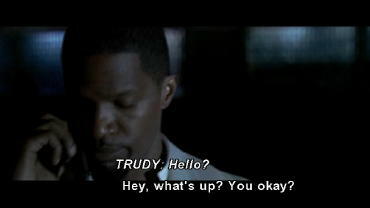 Trudy: "Yeah. Hey. Thanks for the flowers." 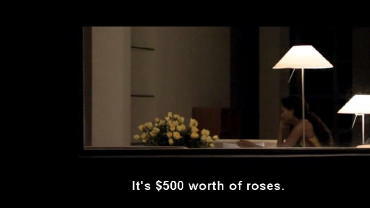 Trudy: "It's $500 worth of roses. Yellow." Tubbs: "Was there a note?" Tubbs: "Was there a note with the flowers? 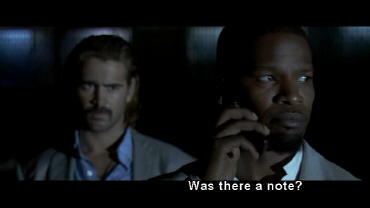 What did the note say?" Trudy: "'Salutations from your friend in the South.' I thought it was from you." Tubbs: "Okay, we're on our way." 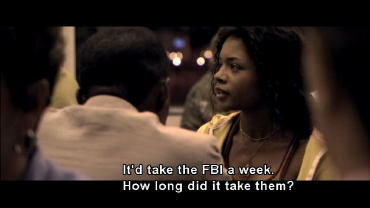 Trudy: "It'd take the FBI a week. How long did it take them? About three hours, four. Yes I am impressed. 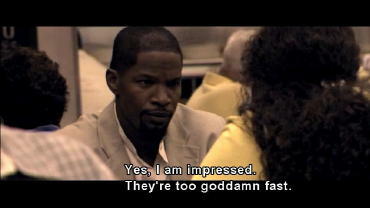 They're too goddamn fast. 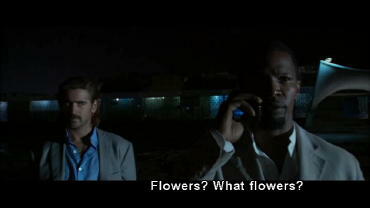 The flowers? They mean: 'We know where you live, where your dog lives, your dog's veterinarian. We can reach out and touch you, we had Teleflora... "
Tubbs: "Listen. 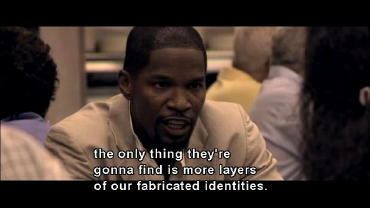 Even if they would have cut through, the only thing they're gonna find is more layers of our fabricated identities. Trust what you built. That's quality. All right? We're cool." 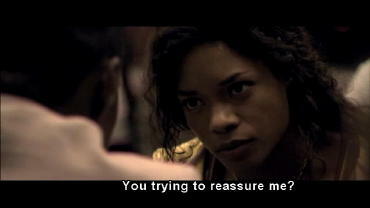 Trudy: "You trying to reassure me? You're worried about me? Don't be. I got Gina on back up. Dial 911, whatever. You and Sonny are in denied territory. Not me. If your focus is on me, if your attention is distracted you will miss something coming at you. I'd die if anything happened to you on account of me. You worry about you. You and Sonny. And I'm fine. 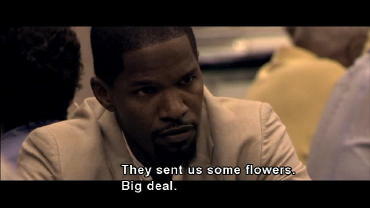 They sent us some flowers. Big deal. Thanks for the flowers." 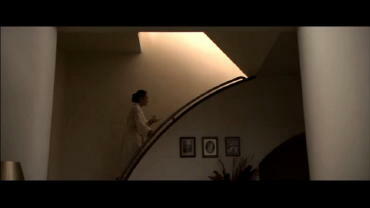 After Crockett´s and Isabella´s love night, the theatrical version directly continues with the scene in the café, while the directors cut shows an additional scene on the hotel room´s balcony. 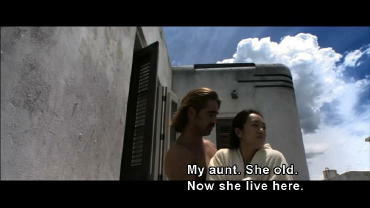 Isabella: "My aunt. She old. Now she live here. 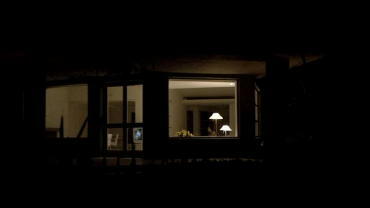 This was my mother house." Crockett: "You grew up in this house? Isabella: "Yeah. 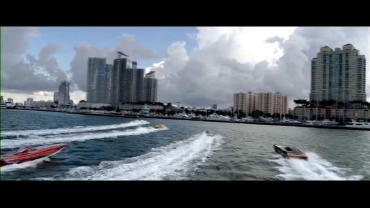 And then we went to Angola. She was a surgeon." Crockett: "She's still in Africa?" Isabella: "No. She died there of typhus when I was 16." 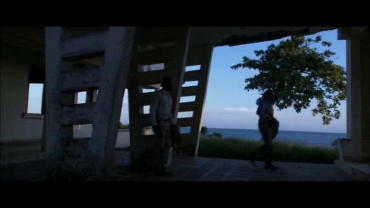 Directors cut also continues with the Café-scene now. After Crockett asked Isabella what her mother looked like, she replies that her mother died in Angola. Since this information was already given in the directos cut during the above mentioned scene, this dialogue was cut out. Directors cut is not showing Isabella coming upstairs. We see Crockett in the bed right away. 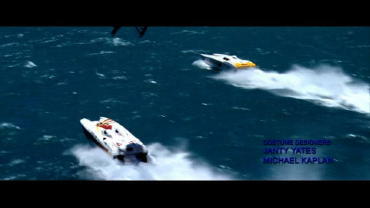 Theatrical version shows Isabella turning around and then moving away from Crockett facing him, while she is showing her back to Crockett in the directors cut. 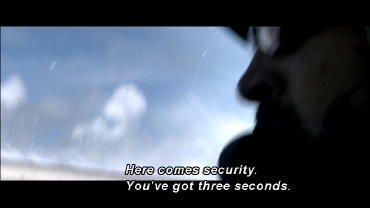 Directors cut is also a little shorter in this scene. Quick shot of Crockett waving at Isabella. 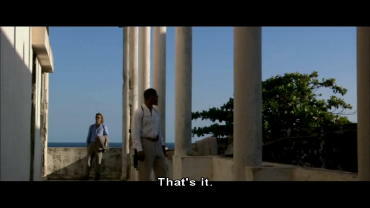 The shot of Crockett and Tubbs receiving email from Yero is a little shorter in directors cut. 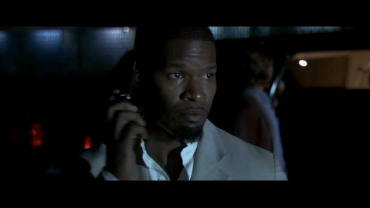 Theatrical version shows Coleman contacting Crockett and Tubbs first, then having the phone conversation with Yero. 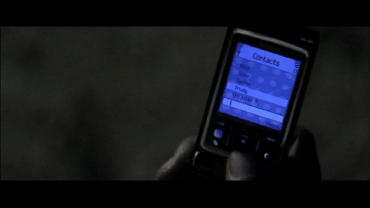 The phone conversation with Yero is shown at 83:29 in the theatrical version. Directors cut shows it the other way round. Coleman is talking to Yero first, directors cut additionally shows two closeups of his hand and face. The crossover from the phone call to Coleman was cut down a little, to fit the time-code change mentioned above. Theatrical version shows Coleman taking the phone from his ear snapping it shut. One of his henchmen appears, asking: "What's the deal?" 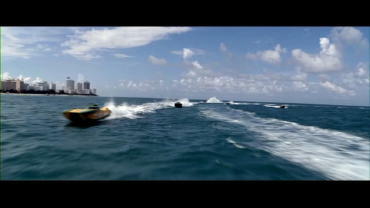 Directors cut shows this directly after the scenes with Tubbs and Crockett aboard the ship. After Isabellas bodyguard was killed by Yeros cooperator, theatrical version and directors cut have alternate viewing angles showing him. The DC is closer, while you can also see the dishes on the table in theatrical version. DC also a tiny little bit longer. Theatrical version has Tubbs saying "Arrests get made." off-screen, directors cut shows this on-screen, so some frames were added. 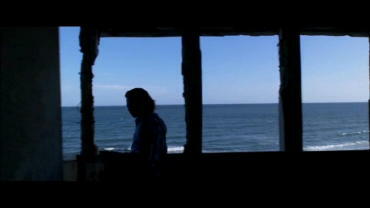 After the shooting is over, and Isabella is thinking about Crockett and who he really is, directors cut shows an additional side-view of Isabella. Because of this, the turning of her head was cut out a little, you see her directly looking to the left in directory cut. Theatrical version also shows her head moving. It´s getting a little complicated now. 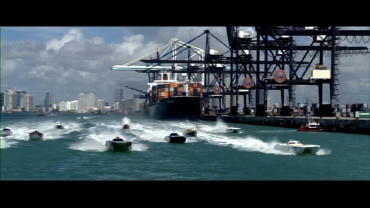 The procedure of Crockett following Isabella to her car is different in theatrical version and directors cut. Some shots are swapped, others are extended a little. DC does not interrupt the scene until she reaches the BMW, while theatrical version cuts to approaching Tubbs at the same time. Afterwards, you see Crockett and Isabella standing by the car. 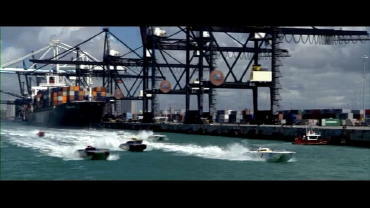 The directors cut shows Tubbs approaching after Isabella and Crockett already reached the car. Both versions show a closeup of Tubbs, but theatrical version does not show that he is slightly nodding to Crockett, right before they start running towards the Dodge. 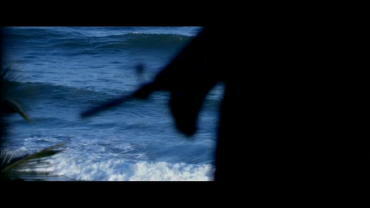 The film music in this scene is also different, it is more dynamic and threatening in the DC. Due to the PAL / NTSC differences, both scenes almost have the same running time, only a very little difference. 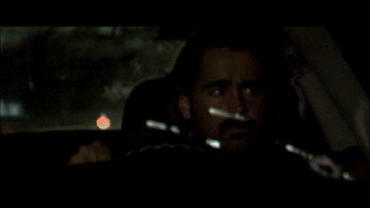 After leaving the crime scene, theatrical version directly shows a closeup of Crockett inside the car. DC shows some shots of the street and laterns first, then showing a front view of the Dodge, the shots inside the car are also taken from a different angle. 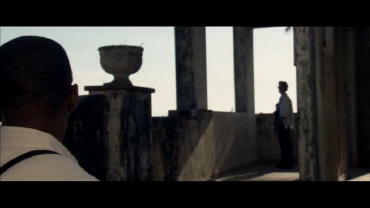 Some shots from theatrical version have also been removed in the DC. 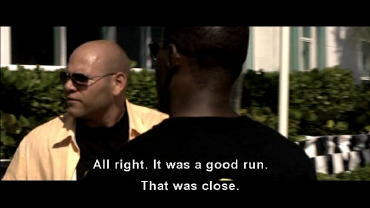 DC shows Isabella loosing her nerve, insulting Crockett and striking some blows on him inside the car. Therefore, the car starts rolling a little, then turning 360°. Crockett handcuffs her arms because she is trying to escape. 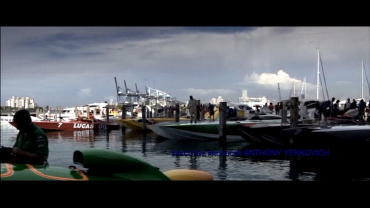 The scene calms down a little, they are both avoiding to look at each other. 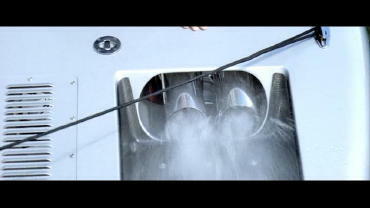 The scene is changing to the car on the lonesome road then, now showing same as theatrical version does. DC shows Crockett putting the box onto the table, taking a pair of tongs from it, cutting Isabellas handcuffs. Theatrical version continues with Crockett putting the tongs back and taking his badge off. The end credits of the DC are significantly shorter, another song is used as well. Maybe because the DC already showed the credits in the opening scene.